Jose de Jesus Castillo Castillo has been chosen Americas’ ‘Athlete of the Year’ for a second consecutive time after a record-breaking poll that had 56,500 votes cast. 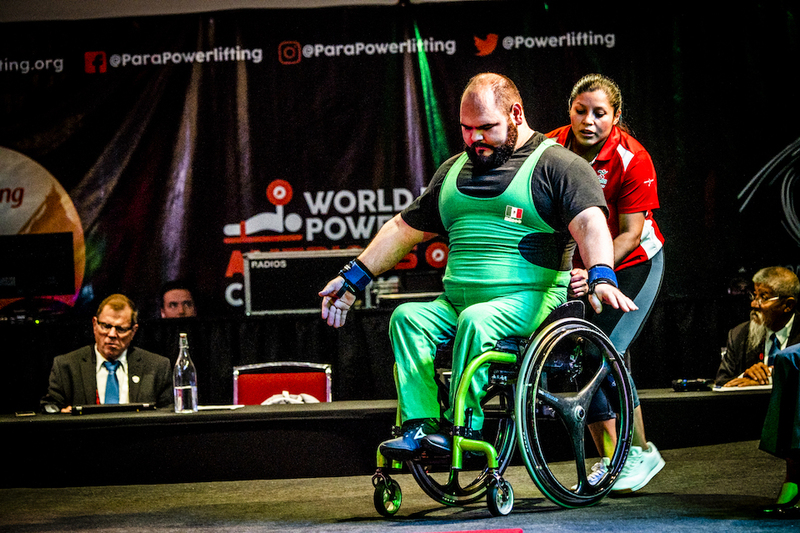 The Mexican powerlifter received massive support from his followers, securing 37 percent of the public vote. Last year, Castillo Castillo successfully defended the continental title in Bogota, Colombia, by lifting 232kg in the men’s up to 107kg. “I am so happy to be named Athlete of 2018, it is a massive recognition,” he said. “First, thank you to the Americas Paralympic Committee for this distinction. And of course, thank you to all of Mexico and those who supported me from other countries as well. “This is the second time I win it, which shows the support I have and makes me feel even happier. “I have two very important events this year. First, I have the World Championships in Astana, Kazakhstan, where I will try to defend the world title from Mexico City 2017. At least I would like to remain among the world’s top three. “Shortly after that we have the Parapan American Games in Lima, Peru. I am targeting my fourth Parapan title after winning at Rio 2007, Guadalajara 2011 and Toronto 2015. It would be great for me and for Mexican sports! Colombian Para cyclist Alejandro Perea Arango, who claimed two golds at the Track Worlds and one silver and one bronze at the Road Worlds in 2018, ended second with 30 per cent of the votes. Alana Maldonado, Brazil’s first female judoka to win a world title, ended third with 12 per cent. Costa Rican swimmer Camila Haase (10 percent) and Peruvian badminton player Pilar Jauregui (eight percent) also received huge support and followed her in the standings. Swimmer Alberto Abarza of Chile and Fernando Fuentes of El Salvador, track athlete Gabriel Cuadra Holmann of Nicaragua, wheelchair basketball player Gustavo Villafane of Argentina, alpine skier Mollie Jepsen of Canada and Nordic skier Oksana Masters of the USA were also nominated. Learn more at the Americas Paralympic Committee website.